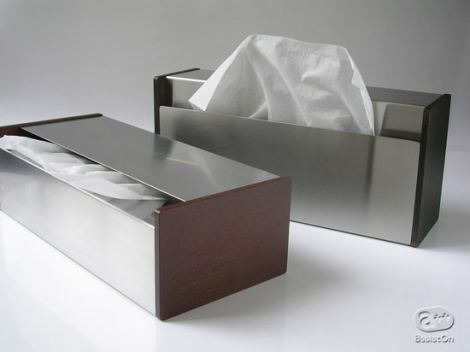 i really like this stainless steel tissue box from hiroshi yamazaki. 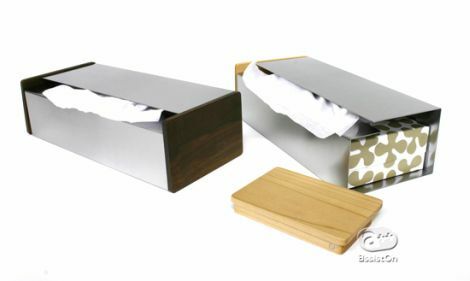 it’s made of sleek stainless steel, and has several wooden end cap choices, including walnut and maple. perhaps it is described best on the website: and the tissue which of course, always springs out from on the box it is not conspicuous flutteringly. if life it is ill-smelling even at the place where we would not like to make feel, this, it is all right. my thoughts exactly. thanks, google translator! 5250-10,500 yen (us $44-$88) at assist on. gotta love those online translators.